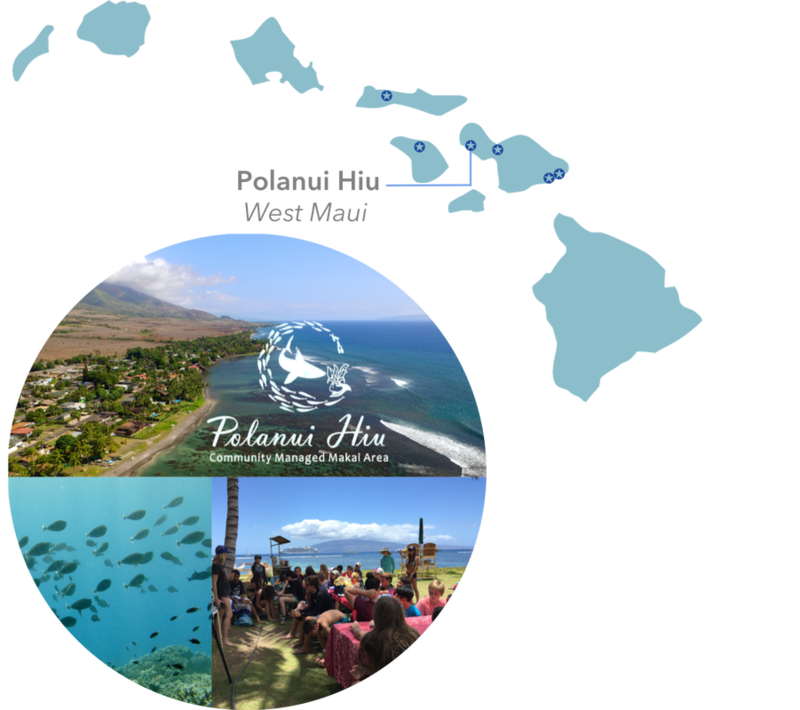 We are a group of community members from West Maui working to restore the coral reefs, fisheries, and traditions once practiced within the ahupua'a (land division) of Polanui near Lāhaina town. Our efforts are enhanced by long-held values of laulima (cooperation) and kuleana (responsibility), and strong community involvement. Nā Papalimu O Pi‘ilani, the reef off Maui’s Lāhaina coastline at Polanui, was once known for its abundance of fish and edible limu (algae). These resources, carefully tended by kūpuna (elders), sustained Lāhaina families for generations. But like other Hawaiian reefs adjacent to high population centers, it now shows signs of significant human impact associated with overharvesting, recreational use, sediment, and poor water quality. These stressors are contributing to the reef’s decline and consistently low fish populations. And as resources and habitats disappear, so do the roots, knowledge, and practices patiently acquired by Hawaiian people over generations. One way we are addressing this challenge is by engaging our community in monitoring fish abundance, presence and absence, human recreational use, and coastal water quality. This community-gathered data will be used to make informed decisions related to Polanui's future management. Check out our website and follow us on Facebook and Instagram. To get involved, please e-mail us. Follow Polanui Hiu on Instagram!